This morning, we checked out of the hotel in Bozeman and headed west. We intended to meet up at a great little burger restaurant about two hours away, only to arrive and find it closed for a private party. Fortunately, there was another cafe in the tiny town that was open, so the six of us (who’d arrived in four vehicles for unavoidable reasons) ate there instead, having a meal that tasted home cooked. 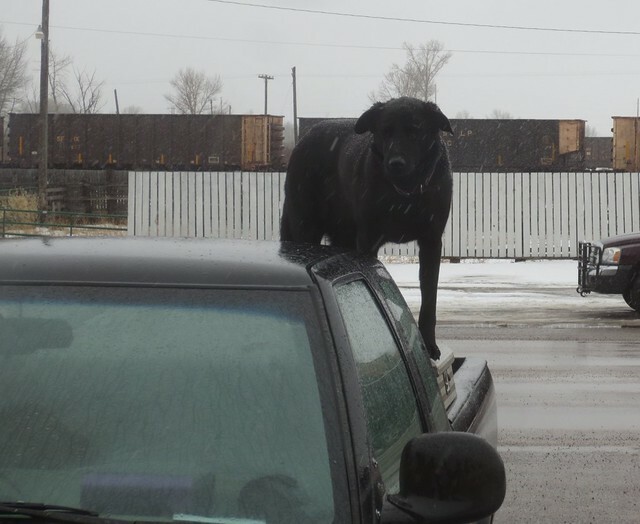 Outside, a friendly dog perched in the back of a pickup, waiting patiently in the snow for his owner to return. 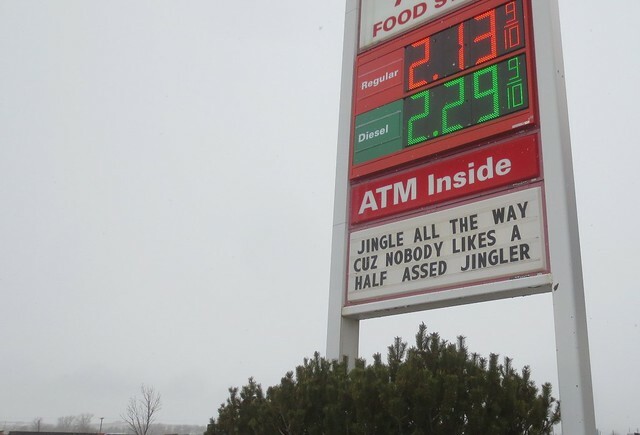 Just down the street, a gas station had a funny festive message on their sign. We parted ways there with the father of the graduate, as he had to be back in Washington for work on Monday. The rest of us continued on toward our ski condo in Idaho. 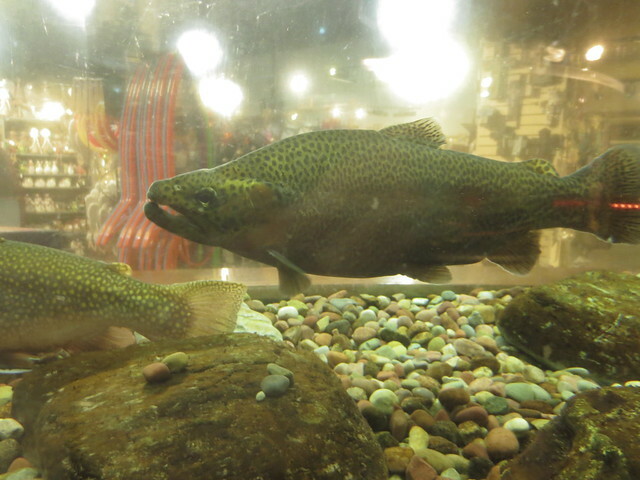 At a stop later in the day, we saw a trout exhibit tucked into the back of a huge gift shop. Eventually we all made it up the mountain road in the snow and had a late dinner of pizza and yet more pie. Since it was dark when we arrived, I haven’t gotten a good look at my mountain yet, but we’ll be here all winter, so there’s no rush. 2010: Without Mountains, What’s the Point? 2004: Will My Skis Fit in the Overhead Bin? I’m glad you arrived safely, jingling all the way!